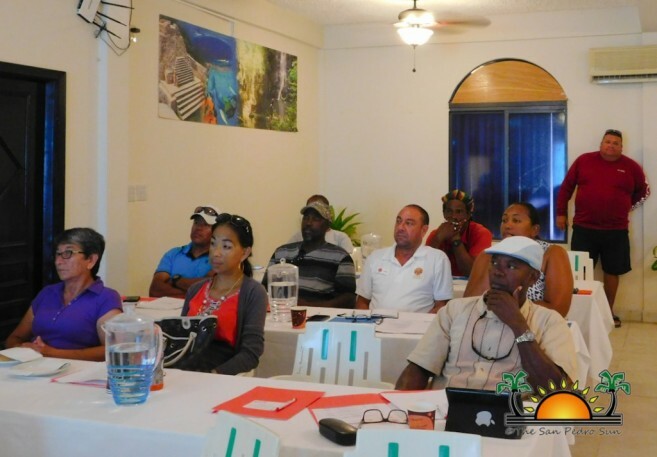 In an effort to update the National Tourism Policy (NTP), a consultation workshop was held at the Sunbreeze Hotel Conference Room on Thursday, May 18th. The United Nations (UN) has designated 2017 as the ‘International Year of Sustainable Tourism for Development’, and are highlighting the need for a tourism policy that delivers sustainable and inclusive growth, protects the environment, celebrates cultural diversity, and enhances mutual understanding. 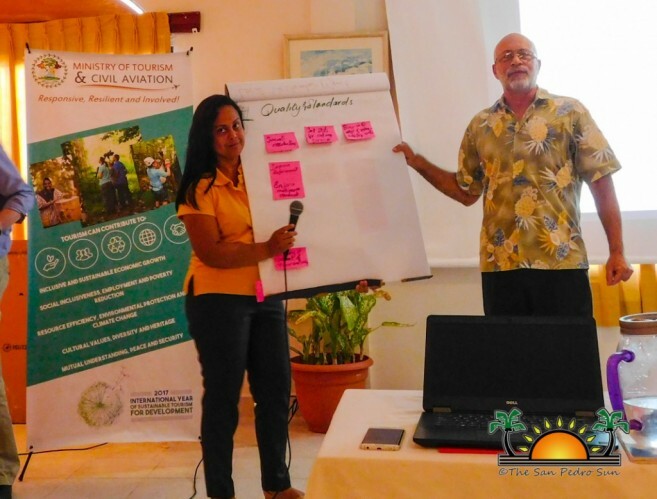 The last NTP for Belize was prepared in 2005, and the Ministry of Tourism and Civil Aviation (MTCA) stated that a revised policy is needed to reflect current trends that are affecting the country’s tourism industry. 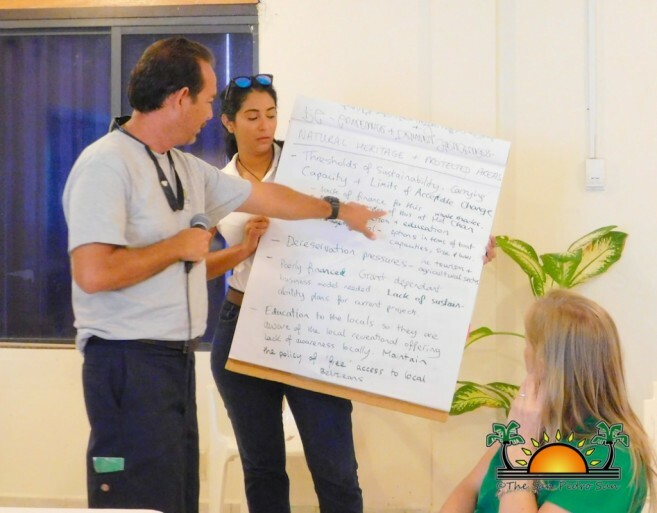 Consultations have been hosted in San Ignacio, Orange Walk Town, Belize City, Placencia, and Punta Gorda. San Pedro was the last stop for the Northern Islands and Belize Reef region. MTCA Chief Tourism Officer Abil Castenada welcomed the gathering, stating how it is essential for the tourism industry to have a well-rounded government structured framework. He explained that NTP must undergo three steps in order to be effective: 1) it must have a policy, 2) a plan/strategy, and 3) a legal framework. Therefore, he introduced Richard Denman, a consultant of the United Kingdom, who has worked in the tourism industry for 40 years across several countries. 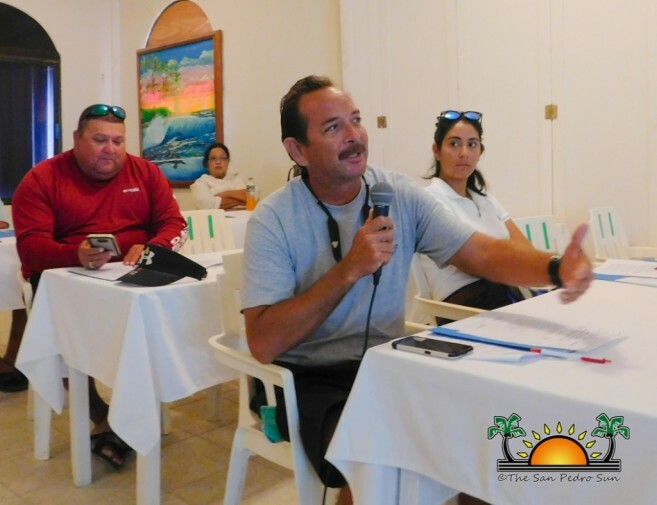 Denman presented an assessment report on Belize, stating that the existing Tourism Policy and Master Plan has much content that is relevant today, but there is a need for more widespread awareness of its polices. According to his report, Belize has shown significant growth in tourism arrivals over the past five years. However, Denman said that targeted increases in the average length of stays have not been met and spending levels per day have fluctuated, which shows inconsistent growth. The report revealed that average hotel occupancy has remained relatively low, with little change in seasonal patterns, but there has been a significant increase in visits to archaeological sites. As for levels of satisfaction with the country’s natural and cultural assets, Belize performs less in terms of perceived value for money, as well as in some aspects of visitor services. 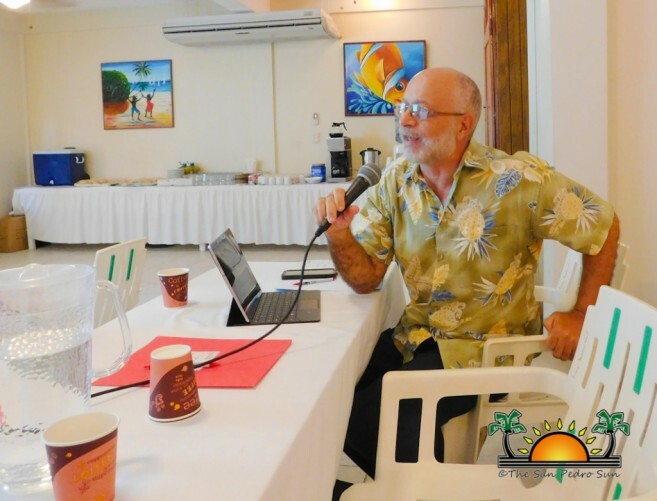 Denmam said that the tourism trends and performance in Belize can be much better. “These figures point to an ongoing challenge to achieve a high quality, high value, and consistent tourism offer that delivers enhanced economic benefits from the visitors who come. However, I predict that tourism should be able to build based on the contribution to the gross domestic product and employment,” said Denman. The main part of the report identified a series of issues based on the initial assessment, in which the MTCA will be addressing its revised policy. Based on previous consultations, Denman was able to establish 16 areas of importance: the shape and balance of tourism in Belize; target markets, branding and promotion; the product offer; quality and standards; cultural tourism; natural heritage and protected areas; cruise tourism; social issues, safety and security; climate change and environmental management; physical planning and development control; investment and business support; human resources and capacity building; local destination areas and their management; tourism transport and connectivity; tourism data and evidence gathering; and governance and delivery structures. 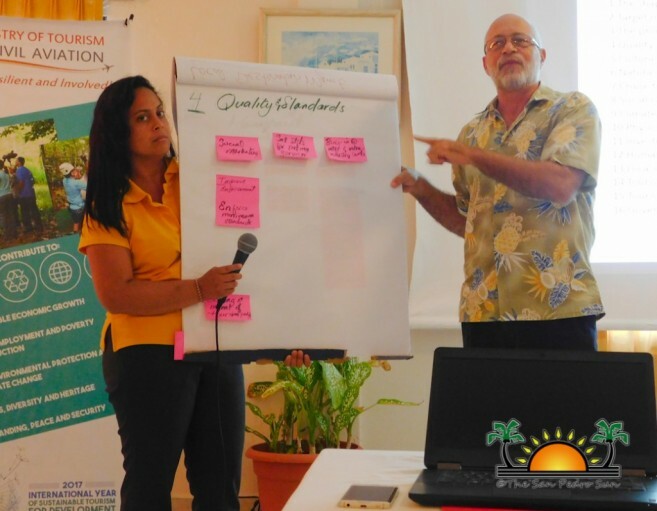 After he explained the key points of each category, the gathering participated in an exercise that ranked the top four categories by its priority. In the end, governance; quality and standards; natural heritage and protected areas; and social issues, safety and security were suggested as key areas for the MTCA to focus on. In terms of governance, the gathering indicated that MTCA needs to strengthen inter-Ministerial and wider stakeholder coordination structures; clarify and identity the purpose and function of the MTCA in tourism; and to establish effective central structures to coordinate and support local destination activity. While the quality and standards category would ensure compliance with standards and effective enforcement, natural heritage and protected areas would allow MTCA to seek ways to generate further support for conservation. In regards to social issues, safety and security, MTCA would address levels of crime, strengthen perceived and actual levels of visitor safety and security, and provide equal opportunities for everyone to benefit from tourism without discrimination. Afterwards, the gathering was divided into three groups, where they were assigned two of the prioritized categories. The purpose of this activity was for the MTCA to get additional feedback on those key areas that were not included in the assessment. With guidance from Terry Wright, Sustainable Tourism Program Manager, Eddie Herrera, MTCA Tourism Officer, Alexia Peratta, Tourism Investment Officer, and Safira Vasquez, Climate, Change, Environmental & Social Management Specialist, the groups presented their ideas to Denman and Castenada for consideration. The groups discussed the issues of trash, Sargasso, coastal erosion, as well as the importance of: social marketing and management of the tourism product, to enforce minimum standards on all businesses, to provide more tourism courses in school, to ban illegal dredging, and to allocate proper financing for all natural heritage sites. Both Castenada and Denman thanked the groups for their observations, suggestions, and ideas. They reaffirmed the importance of tourism in Belize and the need to support the sector with clear policies that are widely understood, agreed upon, and applied. In the end, it was concluded that the NTP needs to be relevant to not only the government, but to all local destinations, as well as all tourism stakeholders. As MTCA is committed to raise and maintain awareness of the policy and engagement in its implementation, Castenada announced that the Ministry will be consolidating the feedback and discussions from all consultations in June. Denman is also expected to return in July to host another series of consultations, in which a revised NTP will be drafted based on those results. If you have questions regarding the National Tourism Policy, please contact the Ministry of Tourism and Civil Aviation at 227-2801, email [email protected], or if you were unable to attend, please visit their website to fill out the National Tourism Policy Survey at: www.tourism.gov.bz.